Home > Travel guide > What is beautiful in Ha Giang? For those who have not yet come to Ha Giang, there is always the question "What is beautiful in Ha Giang?" that people want to travel Ha Giang. 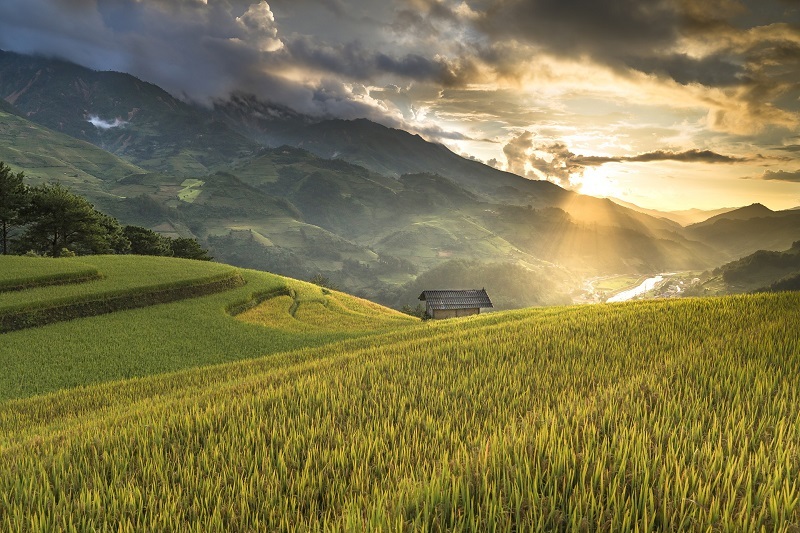 It’s said that spring, especially Lunar New Year is the most effective time to go to Ha Giang because of beautiful landscape as well as the cold weather. It’s the best time for travelers prefer such a chilly weather. 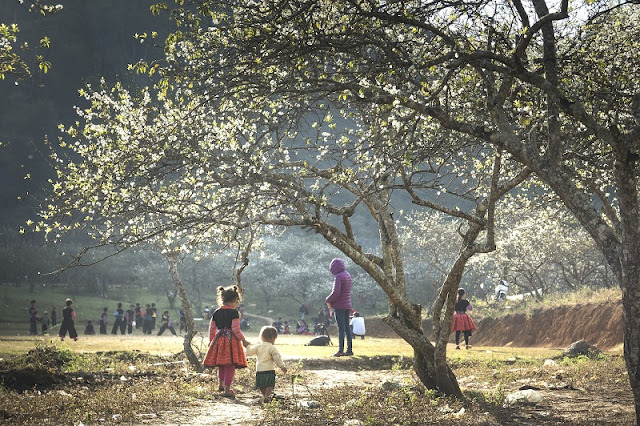 Visiting Ha Giang in springtime, you will see a vivid land which full of beautiful peach and plum gardens are blossoming, the entire plateau is flooded with flowers. It’s so romantic to admire this landscape with your lover. 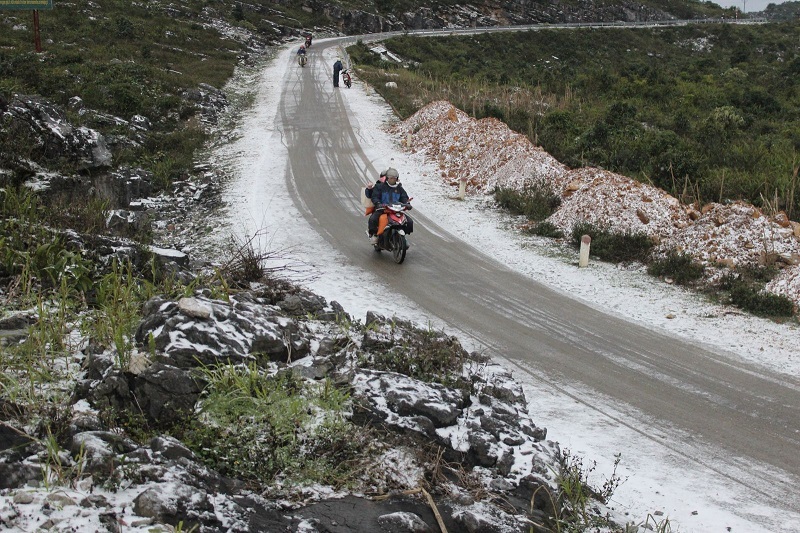 Do not forget to take some great photos if you travel in Ha Giang this time. Especially, if you take your Ha Giang tours during Lunar New Year, you will see a large style of ancient customs of the ethnic minorities there. By attending a ton of distinctive festivals, you will have the opportunity to understand additional about the culture that’s well-known in Ha Giang. Because the weather throughout the Lunar New Year is very snug which gives a little rain also the cool breeze, so remember to carry raincoats and umbrellas to avoid the rains. 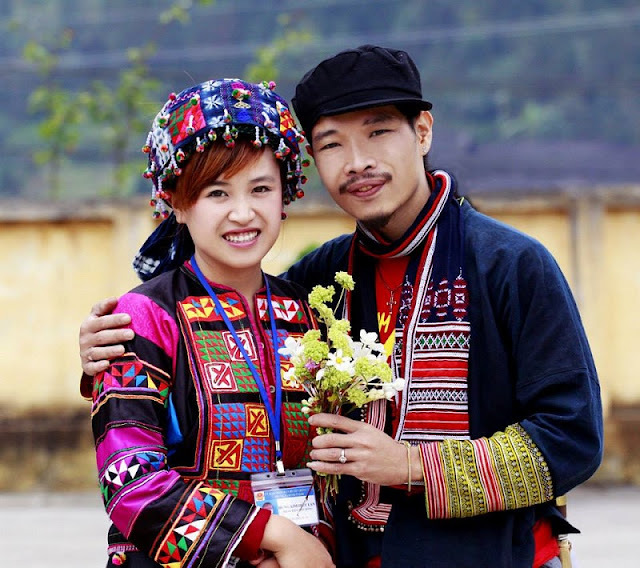 If you want to immerse yourself in the bustling atmosphere of Khau Vai love market where people who love each other but not to be together to meet again, you can visit Ha Giang on 26th March. On this day, people in their ethnic costumes from all tottery ways on the mountain slope go to the market to participate in this special market. 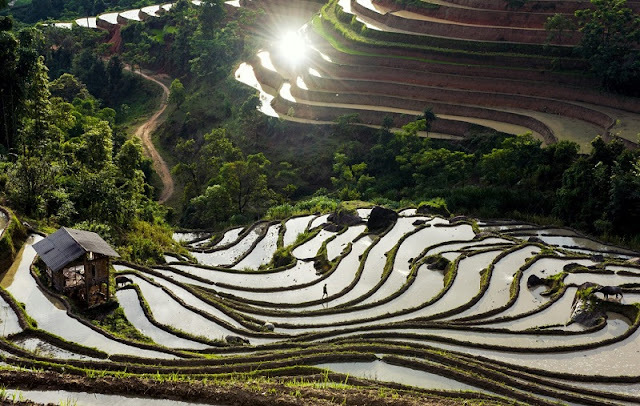 Lasting from May to June, pour water season is the best time for you to watch Ha Giang canvases with fields are filled with water. Under the sun, the ladder is likely the giant mirror reflecting the sunlight. Begining in late September and early October of the solar calendar, the ripen rice season is the time that the spectacular scenery of the forests renews again. If you want to enjoy the beautiful fields were lush with ripening rice, you should take your tour during these months. That’s such a memorable experience to witness the time Ha Giang put on the yellow shirt of ripening rice. 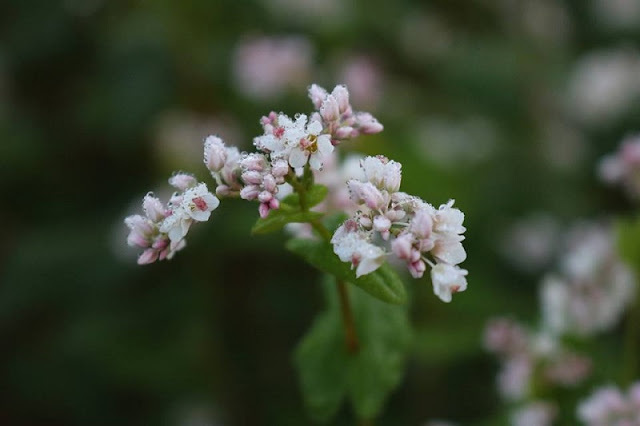 As the characteristic flower of Ha Giang rocky plateau, buckwheat flowers is a type of flower with slightly pink and violet tiny flowers bewitching flower lovers and photography enthusiasts. November is the best time to travel in Ha Giang because it is the time that buckwheat flowers are blooming around the slopes and foothills. Ha Giang is covered with the gray of mountain rocks and the pink of Buckwheat flowers. Gray is the color of steely mind and pink is the color of marvelous dreams. The strong opposition, which is absolutely harmonious overall creates an incomparable beauty of Ha Giang. In addition, the beauty of the Daisy flowers is also something you should not ignore. December is the season of Colza flowers, the scenery is full of yellow color, a beauty that cannot express in words. At this time, the weather in Ha Giang starts cold and snow start falling in many places in Ha Giang plateau. Many curious tourists from many places are lucky to enjoy the unique scenery of the year. Visit our website for more useful information on travel in Vietnam . Feel free to contact us for a wonderful Vietnam holiday packages!